Gandalf, Magneto and now an aged Sherlock Holmes. Sir Ian McKellen has played so many iconic figures. 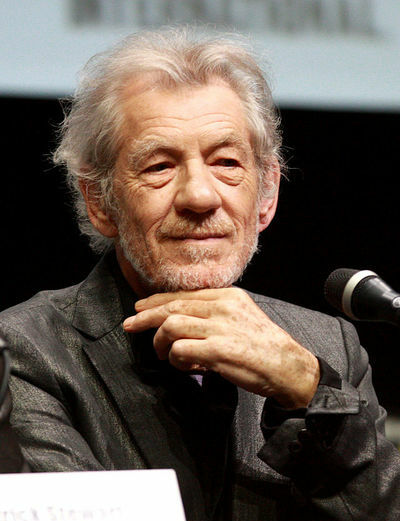 What role would you love to Sir McKellen play? For some reason I have suddenly had the urge to see him in some sort of drag roll. I would absolutely love to see Sir Ian play Bond, James Bond. I'm not really a Bond fan, but that would make my decade! I think he is just too old to play James Bond, however he is an excellent actor and could play just about anything or anyone. Sir Ian can act ANY part going! That's why RSC actors' are SO good, as they've been excellently trained! If he came to my city, & was in a play, I'd see it, no matter what it was! P.S. Really loved him in 'Cold Comfort Farm'. If he comes back here, & only goes to Sydney ( yes, that's the only city in this country worthwhile! Pffft), I'll endeavour to go see him from my city.